In the previous post, I wrote about my plans for the year. On the first week of the year, I think I have done two of the plans: make time of people I love and nurture friendship. With this blogpost, I would be able to “show appreciation more”. On January 1, my friend Shirly and I agreed to go for an early morning walk and visit that breakfast place near Gaisano. However, later in the day, we got a message from Ernelyn inviting us for breakfast in her house. Our friend, Marvin, would be leaving that evening and it was the only time he was free for a get-together. It was a morning of good food, good friends and a lot of singing. Marvin is an accomplished singer and voice teacher. In the afternoon of January 2, I met up with my high school friends, Chin and Jonah with their super cute daughter, Livie. In the evening, I had dinner with my friends, Shirly, Dinah and Wilbert. We had coffee and foot massage after. On January 3, I met up with my travel friends.We visited our friend, Ayet, at her hotel room because we learned that she got an ear infection. Good thing, she was already better and we were able to chitchat over junk food. We went out for coffee, too. On the same night, I proceeded to another resto to meet up with friends. Three of them were leaving the next day. By January 4, my body called for a rest. I was in bed most of the day nursing a headache. Everyone was back to the grind by January 5. The freelancer that I am, also needed to get things done. I edited the wedding photos I took on December 30. On January 6, I was on Facebook early in the morning when I saw January’s status stating that she was traveling to Butuan. January blogs at photosbyjanuary.com, deliciouslyspicy.com and www.janzcrystalz.info. I immediately arranged for us to meet up. Good thing she was free that afternoon. I brought her to Margie’s and we chitchatted like old friends. Since we read each other’s blog, we never ran out of topic to talk about. Thank you for meeting me, Janz! Later in the evening, I had dinner with good friends, Shirly, Ernelyn, Mitzi and Dinah. Shirly spent the night at my house for a much-needed catching up. We pushed through with our plan to walk to the the breakfast place I wanted to try. 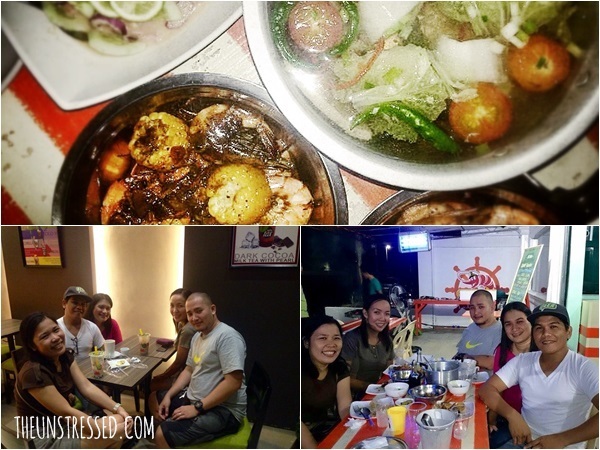 On January 8, my cousins, Arvin and Tweetty, and their friends, Goy and Lyn, went to try the new shrimp place. It was celebration that I finished editing the photos. Hehe! Lyn’s brother was the groom at the wedding. And you think, I was done with the get together? Yesterday, my aunts, uncle and cousins went to the house of a family friend for an afternoon gathering. Thank you, God, for good friends. Let me take this opportunity to thank my thoughtful friends. I got all these gifts for Christmas. I did not even ask for these gifts. I am blessed. I feel loved. I love you all! No, I do not love them because I got gifts. I love them because they never fail to show me how wonderful it is to have friends and be loved. With friends like these, who needs a love life? Kidding! Thank you, friends. These are the artworks I have made. 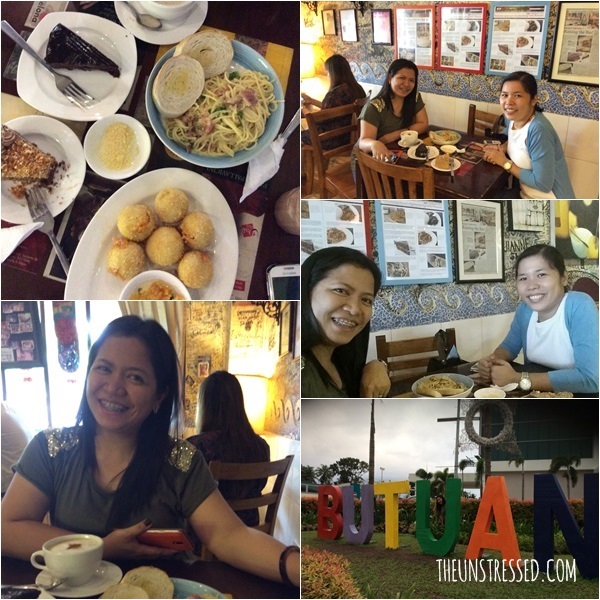 Oh, it is in Butuan! Looks like a great start for the year! And whoa; those paintings that you made, they are amazing! I am especially allured by the last one (the red one). You got some skills, really! 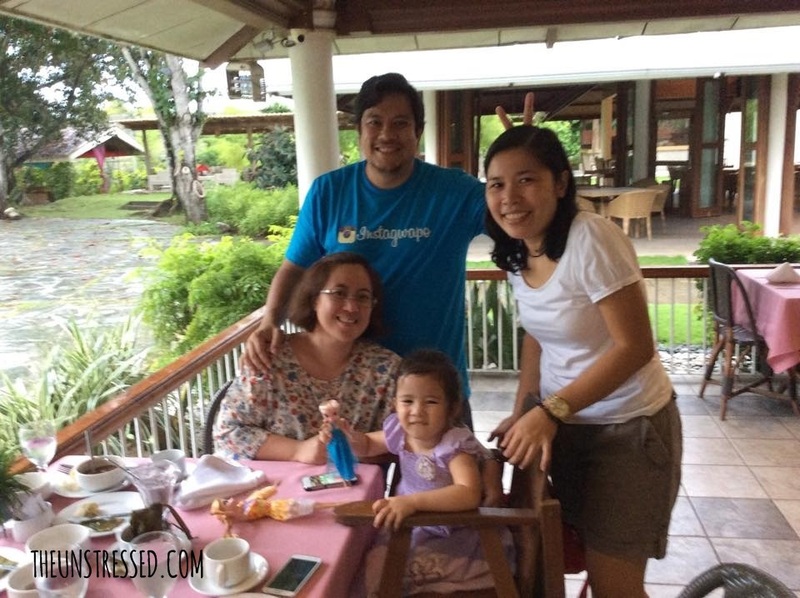 Can you recommend some places in Butuan that is kid-friendly? A lot of places are kid-friendly. I cannot think of one particular place. I do not remember having to worry about bringing along my nephew. I take note next time. As a single woman, I still do not have a mindset of a mother. Wow! It was a week full of reconnection. 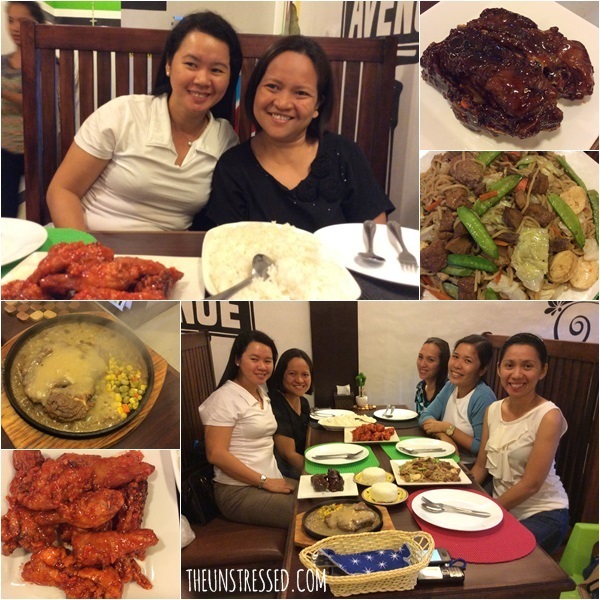 Meeting friends is really one way to de-stress oneself. Happy new year! Your December was extended to January! 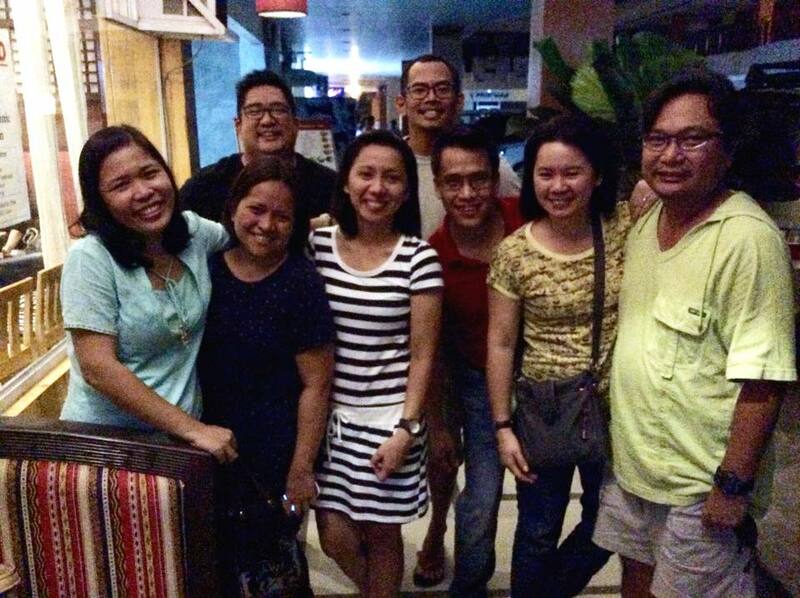 Tuluy-tuloy ang get together. Nurturing friendships are important; sometimes they are more valuable than our own kin. Give back for what you received and enjoy more blessings. It made you the roundest person for your friend and families. Cheers for 2015 onward! Wow! You’re really starting your year right! It’s good to know you were able to meet and bond with your family & friends. It’s the best feeling in the world and I’m sure that the time you spent with them excites you more on what else will happen for you this year. Happy for you! I will be selling my artworks soon. I’ll blog about it when my shop is up. Your friends are so lucky to receive your artwork. 🙂 That’s not a cheap gift, homemade gifts are priceless. It’s always fun when you’re with your friends especially with good food! 🙂 Looks like this year started right and fun for you. This is so nice! and your friends are also lucky to have you and about your artwork that you give to your friends, is that all floral art or you paint other art style? That’s not being a cheapskate! 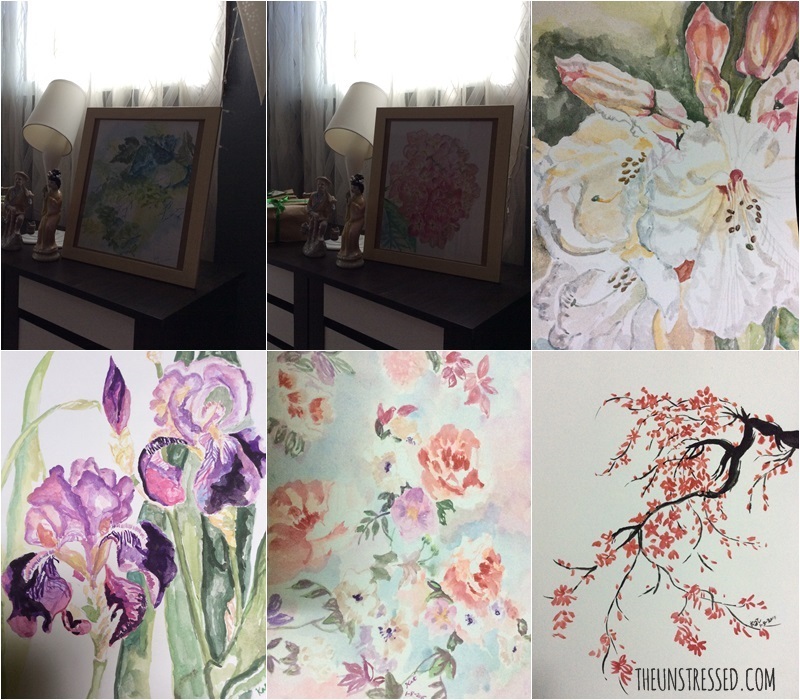 Your artwork is very personal so essentially your giving a part of yourself to someone when giving your watercolor pieces! I love them btw. Yay! Great job for all these face-to-face interactions with friends. While virtual interaction is alright, nothing still beats actual face-to-face interactions. This is something that I’ve promised myself to do since last year. And despite our very busy scheds, my friends and I manage. Thanks for loving my artwork! 2015 is to more time with friends. Here’s to us who thrive to spend more quality time with friends! Cheers. It’s nice that you were able to meet a lot of your different friends group to start the year. You are such a good friend and I know they appreciate that you make time for them. I can see that you enjoyed your time with your friends. What’s better way to catch up over a meal . Enjoy! I see food.. Food and friends will always be my favorite F’s in life.. Have a great 2015 ahead! What a great gathering of friends and many hours spent eating and catching up. Friendship is truly one of the best gifts in the world. Is your friend Marvin Gayramon? I have met him before and he actually coached me in singing. I doubt if he will remember me though. That must be almost 10 years ago already. Yes, Marvin Gayramon. Small world. Definitely Cheers to Friendship! I’m so glad that you two finally meet. I bet its so much! I wish kasama ako, wow! 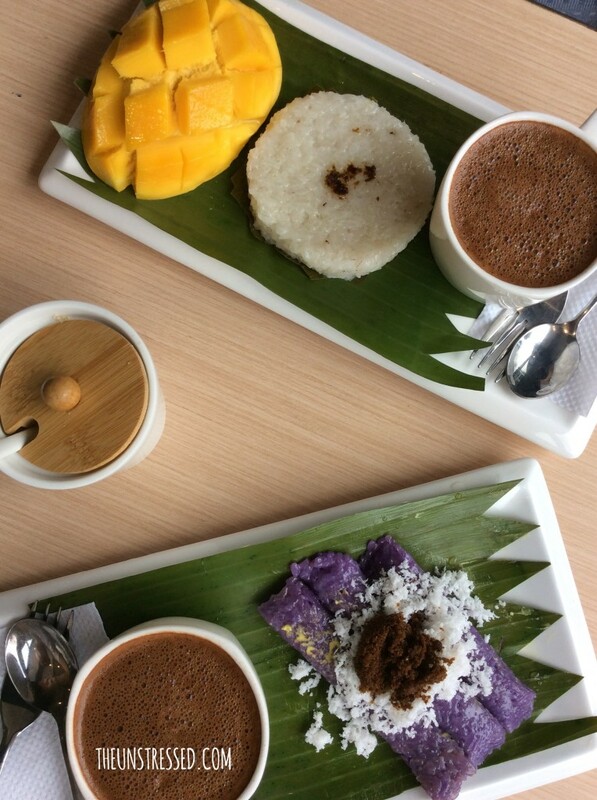 The food makes me drool especially the suman and puto bongbong.. yum! Uy, pagumuwi ka, sana magkita tayo. Ano nga hometown mo sa Pinas, Melgie? Wow! you have quite a busy schedule. Almost every day you meet up with friends and yes you did have many close friends. Kudos! Nice that you and January already met personally. I hope we can all meet one day. And by the way, you are so talented. I used to draw a lot when I was still in school. But when I had graduated and have work, my interest vanished. Now, my son loves to draw and I am encouraging him to draw more. If you are a good friend for these people, then they are good friends for you as well. It’s great that you managed to meet up with so many friends and relatives this month. Your artwork looks great. Cheers to friendship indeed! Unfortunately for me, my friends are now living elsewhere so we don’t get to spend time together like we used to. It’s a good thing technology is much more advance now so we can still catch up on each other’s news. You are very busy meeting friends. I remember, my batchmates in college are planning to have a 2-day get-together. Unfortunately, we might not able to come since. First, the place is quite far from ours and the date is not available for us. Meeting up with friends seems like a great way to start the year. Looking forward to your online shop soon! Do you also paint people’s faces? 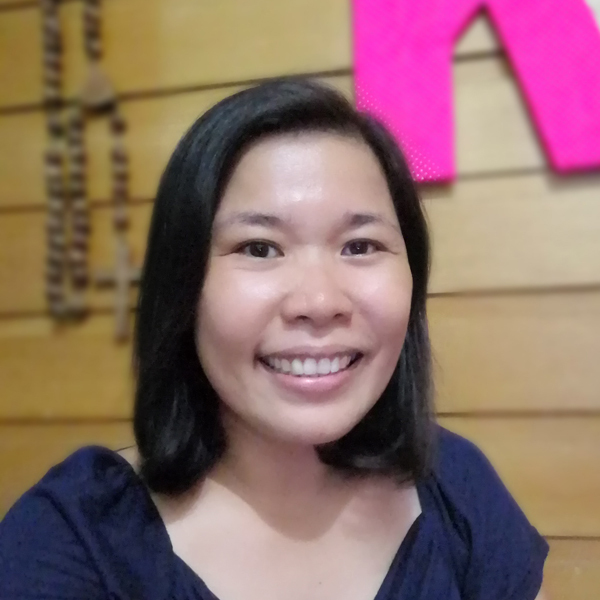 I love your artworks! They are so delicate and exquisite. You really have a great talent in painting! KUDOS to you for spending such precious time to your friends, personally. Many people failed to do it nowadays but it seems like you see to it that you still do it despite the technology. Awesome memories for sure.